On October 3rd, Las Vegas was treated to one of the best championship fights in recent memory. Hulking Viking Alexander “The Mauler” Gustafsson met Olympian Daniel “DC” Cormier for the UFC’s Light Heavyweight championship of the world, battling 5 hard rounds and creating a genuine “Fight of the Year” candidate in the process. In the end, both fighters were battered, bloody, and running on guts, with American Champion Cormier outlasting “The Mauler” and retaining his belt via a split-decision victory. Cormier is eloquent on the microphone and immensely athletically gifted, in spite of a relatively advanced age. Gustafsson, apparently, is incapable of delivering performances that are anything short of enthralling, whether on the winning or losing end of the fight. With such gifted fighters battling for a world title, at a packed house in Las Vegas, demonstrating almost unparalleled skill…I couldn’t help but enjoy the fight with something of a bad taste in my mouth. Both of these men were defeated by Jon Jones, the exiled king of a division he once ruled with an iron fist. His own fight with the hulking Swede was a battle for the ages, with Jones gutting out a victory in a five round war. Meanwhile, the build-up to his battle with Cormier was one of the most hyped fights in recent memory, climaxing with a wild brawl at a media obligation that will likely be remembered for years to come. When the cage doors closed, Cormier found himself (in spite of his incredible wrestling acumen) dominated physically by a champion who seemed to be genuinely superhuman. However, Jones’s inability to remove himself from the party-life and cocaine addiction lead to a stint in rehab, a hit and run case, and the subsequent stripping of his title. That said, his dominance, otherworldly physical gifts, athleticism, and incredible ability to make experts look amateur, leaves little doubt in the minds of most fans that while DC and Gus may have battled for the #1 spot on paper, the winner was doomed to be exactly that…a paper champ. Now, with his court-case settled and plea deal reached, “Bones” has the opportunity to stop waiting on the sidelines, and remind the world what makes him (arguably) the greatest fighter to ever live, at only 28 years old. There are individuals who may be more deserving of the opportunity to fight for the title than Jones, as a result of his poor decisions. Ryan Bader has wrestled and punched his way to a 5 fight win streak, and the savage Anthony “Rumble” Johnson has the ability to knockout an elephant…but it’s the proverbial boogeyman of Jon Jones waiting in the shadows that will likely meet DC in his next title defense. In spite of everything? That’s how it needs to be. 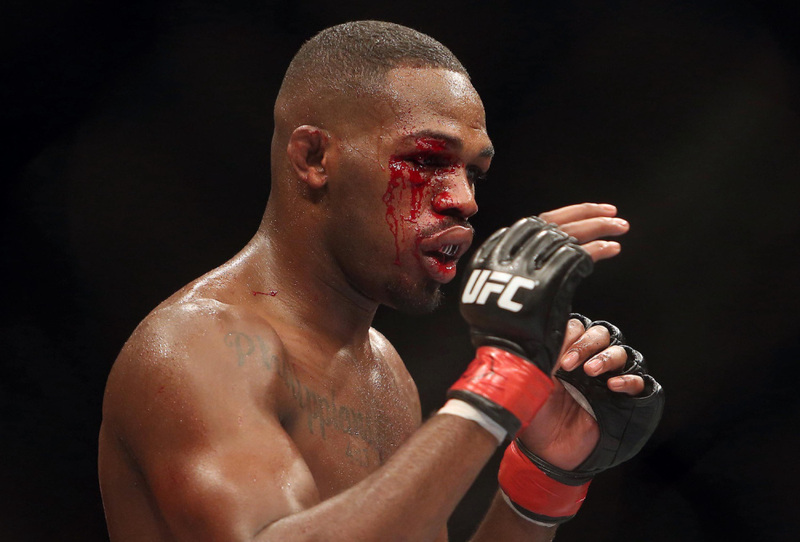 Jones is a once in a lifetime talent, who likely will go down as the greatest fighter to ever walk the earth, and soon enough, if he keeps his nose clean (pun intended), his reign of terror will begin again. Long live the king.